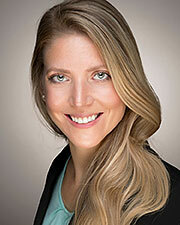 Dr. Melissa Felinski is dedicated to helping patients improve their quality of life through their surgical journey. She is experienced in advanced minimally invasive techniques utilizing robotic, laparoscopic and endoscopic (incision-less) approaches. She treats primarily teens, adults and seniors. Her areas of specialty care include surgery of the esophagus and stomach (reflux/heartburn, ulcer disease, hiatal hernias, achalasia, and weight loss procedures for obesity). Her practice also includes surgery of solid organs (spleen, adrenal glands, thyroid, parathyroid, and pancreas), surgery of the abdominal wall and hernia surgery (umbilical/ventral/inguinal hernia and abdominal wall reconstruction), as well as surgery for gallbladder, small intestine, appendix, and colon, and performs upper endoscopies and colonoscopies. Dr. Felinski is a board-certified general surgeon with a specialty focus in bariatric and foregut surgery. She is an assistant professor of surgery at McGovern Medical School at The University of Texas Health Science Center at Houston (UTHealth). She is also the assistant program director of the advanced gastrointestinal/minimally invasive, bariatric and robotic surgery fellowship program. Her experience includes a residency in general surgery, and a fellowship in minimally invasive, advanced gastrointestinal and bariatric surgery where she received formal training in robotic surgery and surgical endoscopy. Dr. Felinski is actively involved in national organizations, including the Society of American Gastrointestinal and Endoscopic Surgery (SAGES) and the American Society of Metabolic and Bariatric Surgery (ASMBS). She has authored several publications and has presented at regional and national conferences.